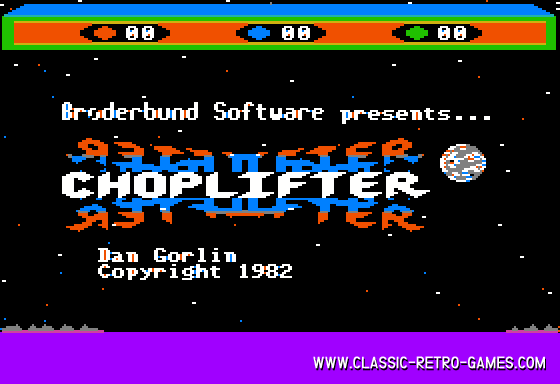 Great remake of Broderbund's '82 Choplifter by David Fleming. This 'Dos' version runs fine in Windows but it needs a little tweaking to get some sound. If you liked Choplifter you should try this remake for sure. Currently rated: 4.5 / 5 stars by 11 gamers.